today is officially the first day of spring, but it doesn't look or feel like spring at all. in fact the weather has been really cold and rainy the last few days. it has been so depressing. the perfect thing to warm you up on a damp day is a bowl of soup! 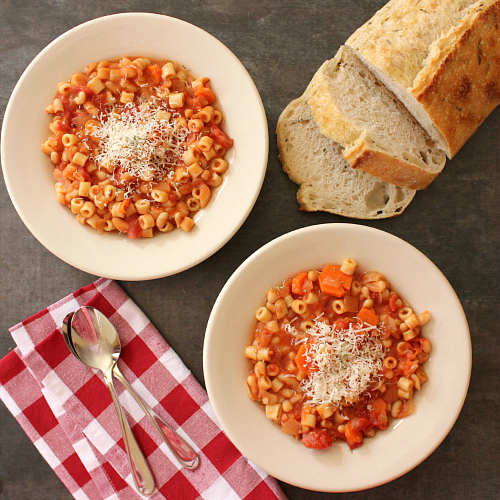 i made this minestrone soup this past weekend, and we have been eating it for dinner this week after work. i love coming home and just having to heat up a bowl of soup after a crazy day. it makes life easy when you are super busy. this soup is absolutely delicious. ryan could not stop raving about how much he liked it. i'm going to let you in on a little secret . 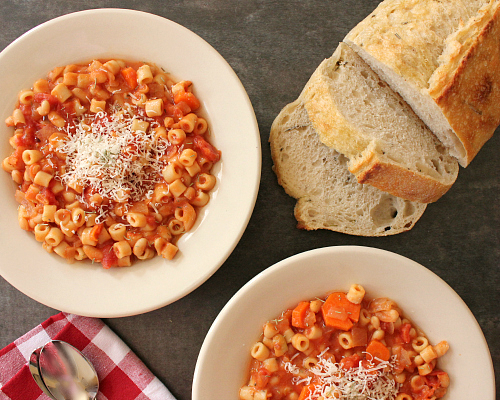 . . what makes this soup so good is the parmesan cheese rind. it totally enhances the flavor of the soup. i'm telling you, it's a game changer. 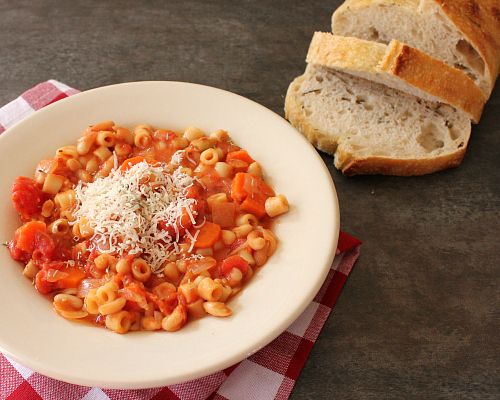 we served our soup with some freshly grated parmesan cheese on top, and a big slice of rosemary bread. it was so good! we will definitely be making this soup again soon! in a large soup pot, saute the onion and carrots in the olive oil over medium-low heat until softened. add the garlic and cook for another minute. season with salt and pepper. dice the tomatoes, then add the tomatoes and the tomato juice from the can to the pot along with the beans, rosemary, thyme, and red pepper flakes. stir in the vegetable stock. add a leftover parmesan cheese rind and let the soup simmer until the rind gets droopy. add the dry pasta and cook for 15-18 minutes, until the pasta is fully cooked. remove the parmesan cheese rind and throw it away. season with additional salt and pepper to taste. 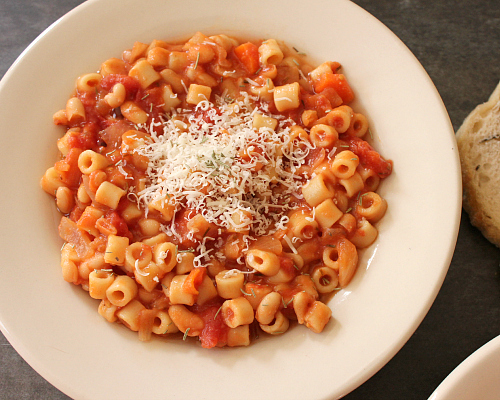 serve warm with freshly grated parmesan cheese on top. Looks good and that bread looks delicious. This looks amazing! And there's literally no better bread in the world than Rosemary! I love coming home and just having to heat up a bowl of soup after a crazy day.